Fasten your seat belts and get comfortable! " 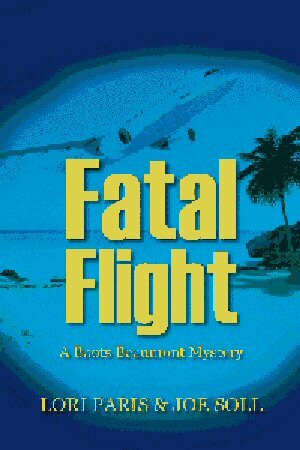 Fatal Flight " takes off quickly and you won't want to put it down until it lands. It was a nonstop flight for me as I read cover to cover in one sitting. I was hooked after the first few pages. The authors open with a bang then use an assortment of interesting characters interwoven through two story lines that eventually converge and lead to a solid ending. I eagerly look forward to future tales of Boots Beaumont and friends! This novel takes the current issue of our safety when we travel by air and gives us a frightening look into what the possibilities are for true evil. If your looking for a book with a complex and violent plot, yet rich in character detail and has moments of humor thrown in, here it is. Fatal Flight is hard to put down. Get ready as the authors take you on a nail biting, fast moving trip starting with the first opening page of the mystery Fatal Flight. A thread of psychological tension builds in each chapter as the authors explore the pathology of how evil can manifest itself in every day lives. Along the way, you’ll encounter Private Detective Boots Beaumont, Cappy, and other unforgettable characters. By the end of the book the characters will be as familiar to you as old friends. Take a breath, stay onboard for the entire trip, and Fatal Flight will keep you fully engaged all the way to the final conclusion! Here's a book you won't want to put down. Timely, clever and masterfully written, Fatal Flight will take you for a trip deep into the psyches of the diabolical bad guys and the detective and his buddies who are tasked with solving this evil plot. Fatal Flight weaves a tale of factual events with the people who might have been caught up in the tragedy and intrigue of this powerful and provocative story.